Here at HPP we are delighted to introduce you to our healthy nutritional offerings: healing herbally infused Premium Coffee Blends, Tea Blends, Cocoa Blend & Active Blendz that you just have to know about! Hello Hello!! We are Craig & Mary Reynolds and we’ve been in business and dancing together for as long as we’ve been married … 25 years now! Thank you for stopping in to learn more about our unique and delicious gourmet coffees, teas, cocoa and active fruity blends which are infused with healthy herbs healing lives one sip at a time. why herbally infused drinks, why now? As an author and business coach, I reach out to make a difference with people every day on issues related to their focus, energy, goals, dreams, health, productivity, time management and personal relationships. Because of this, I am so excited to be able to offer products within the foundation of my existing business MakeADifference.com here at HPP – Heart Productions & Publishing – that can easily and quickly help adults and children feel better so they can do better on all levels (make sure to read all of the amazing Success Stories coming in every day at each of the LINKS above). Without your Health there’s no You! By bringing this product line into HPP we are now able to cover many health bases that people have been wanting to be able to offer in an easy, relaxed manner by just adding water – we are now making a difference in the lives of so many today who just want want to feel better so they can do better managing life. First because with Energy+Mind Coffee and FocusFusion Cocoa it is SIMPLE for people to improve the quality of their lives. We can now get this kind of nutritional supplementation in the hands of so many adults and children struggling with a full range of physical and emotional experiences that are de-energizing their lives; from a daily drop in energy to a sense of personal well being. In today’s fast-paced, high-tech, bright-shiny-object world, time, energy, focus and attention experiences are close to home for both of us but now with herbally infused coffees we are able to live life to the fullest with a healthy coffee. Second because our work has been so sedentary the unnecessary LBs have creeped up on us both. We’ve tried all of the newest, latest exercise equipment, diets, pills and protein powders but with herbally infused Burn+Control Coffee, Lean+Green Tea and ActiveBlendz Control it’s been so much easier for us to remember to do because we drink coffee, tea and naturally sweeten drinks as part of our daily routine anyway AND we feel energetically uplifted and manage ourselves around food so much better now. Because I’ve been enjoying these herbally infused coffees, which helps me calm down and intuitively manage what I eat and drink. I have released a total of 41 LBs in the past 18 months – Thank You God! I have also gotten off all Estrogen medication. You can see my figure coming back! This is real progress for me. I now enjoy whole foods more than other foods that have the potential to unbalance my mental, emotional and physical state. Craig released 30 LBs by simply eating less of all the foods he likes. We are both enJOYing balanced energy while being able to remain focused with calm minds all day long. 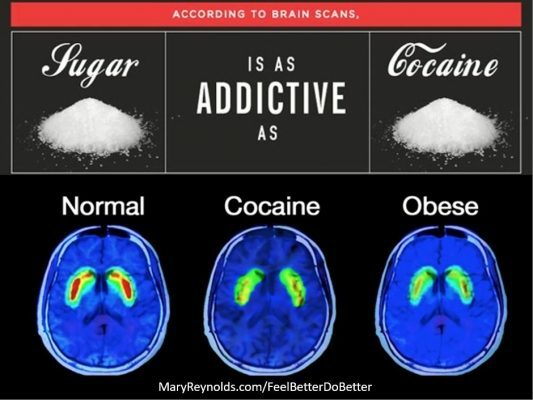 Addictions come in many forms and obesity is the most visual of forms. Stepping down from high quantity intake of sugar – in all forms – from canned pop to canned fruits – can be an easier process for many people by simply changing up their drinking habits with the additional nutritional / herbal supplementation infused in all of our healthy drinks. Which brings us to …. Third … RETHINKING YOUR DRINK! NOW you can replace ALL those sugary drinks with our herbally infused healthy Active Blendz drinks for supporting Healthy Joints, Sustained Energy, Fiber, Weight Management and Immune Support – with 3 of the 4 being caffeine free – we can simply change up what we drink to enjoy an active lifestyle. Now you and the kiddos can replace unhealthy drinks with equally delicious, naturally sweetened, satisfying, nutritionally healthy, fruit and herbally infused ActiveBlendz drinks! Click on each of the LINKS above or on each product’s graphic to see which products are the right fit for you. We both enJOY 2-5 of the products throughout each and every day to meet our nutritional needs for FREE with our 3&Free plan because we’ve let our clients, customers and people we care about know about the benefits changing their coffees, teas, active drinks and cocoa will bring to their lives. But more about all of this later. First things first! Order with us & Let’s do ‘virtual’ coffee! We’re often asked how the micronized botanicals and patented extracts in our beverages (coffee blends, tea blends and fruit-infused blends) stand up against similar extracts provided as capsules, caplets or tablets in nutritional supplements. The answer can be somewhat complicated, so we turned to our expert (and formulator), Javita’s Director of Botanical Research & Development Monica Johnson. “I am an advocate for consuming high-quality herbal products to promote health, in any form you can get, be it a liquid or pill. However, if you have a choice, I am a strong proponent of consuming nutritional products in liquid form over solid for a couple of reasons. First, having nutrients in a liquid form dramatically increases the surface area for all of the minute particles, allowing more area to be exposed in the digestive system for rapid breakdown and absorption. This is particularly beneficial in products where immediate results are desired, such as metabolic enhancers, anti-inflammatories, or for mental energy. Secondly, no matter how healthy we are, our bodies are aging. With age, comes a slowing of the digestive system due to changes in hydrochloric acid. This means that breaking down foods becomes slower or more difficult as we age. By consuming nutritional products as liquid, you are better able to assist your digestive system with this breakdown. This decreases the time it takes to digest these particles, allowing them to be more quickly and more fully absorbed.